Before I started treatment and even through the first round of chemotherapy, I expected that research and preparation would force my experience with chemotherapy to conform to known experience and plan. However, despite a lot of research and lengthy conversations with my medical team, I realized on the first day of chemotherapy that I did not really know what to expect outside of knowing the main drugs I would be receiving and their large list of possible side effects and complications. After making it through the first day of my chemo infusion with no real complications, I naively thought I knew how the rest of the infusions would be. Each infusion brought different reactions to the chemotherapy drugs and the ones administered to refute the side effects. The length of time spent in the infusion center varied, although they were all very long days with hours spent attached to the IVs. Even details down to little things, like what I could eating and drinking were inconsistent from round to round. One year ago today, I rang the bell signifying my last chemotherapy infusion. But walking into the hospital the morning of last April 20th, I did not know that it would be my last infusion, because I had been battling severe neutropenia for several weeks, and was 13 days past the originally scheduled date for the start of this round (which was threatening my eligibility to remain in the clinical trial). As I reflect on making it to the last infusion day, I realize that the only certainty is that each infusion will bring its own challenges and unknown factors, which is a larger reflection that there is no certainty in battling cancer. Although I didn’t know April 20, 2015 would the day of my last infusion, I walked into the hospital that morning with a bag containing items that would make an infusion day more comfortable and knowing my way around the infusion center for things like where the best coffee and snacks and the most comfortable bathrooms. Little things like that were significant when faced with so little control and so much uncertainty. Tour the infusion area before you go. During one of my pre-treatment appointments with Dr. Park, I had my clinical trial nurse take me up to the infusion area so I could see it and know the set up and rules of the area (especially how many people you can have with you and what food/drink is available). Clothing: Dress in comfortable layers that provide access to your port. It is key to realize you will be mostly sitting for many hours attached to the IV lines and pole and periodically to the blood pressure/heart monitoring machines. Wear clothes that make it easy to access the port leave room for the medical staff to check and adjust your IV lines and measure essential health statistics. Additionally throughout the day of chemotherapy infusions, my temperature ranged greatly from freezing due to the chilly temperatures in the hospital to sweating from the drugs. I liked to dress in comfortable, breathable layers. I often wore leggings with a tunic and shoes that had room for swelling feet, and packed socks of different thicknesses for when I was sitting in the chair. People!!! 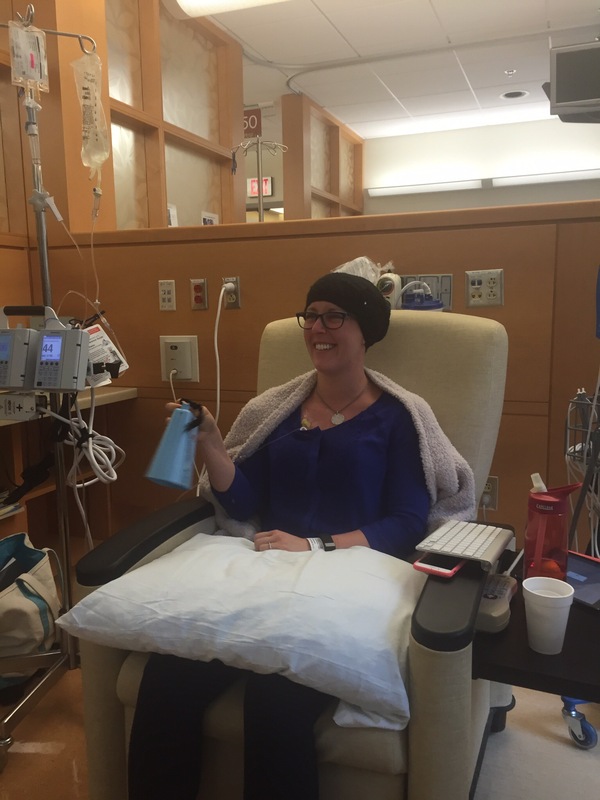 I was fortunate to not have to spend a chemo day alone. At every infusion, I had friends and family with me. Facing sitting in an infusion chair for 8+ hours with unknown and numerous possible effects is terrifying, even on subsequent infusion days. My medical staff at UNC Lineberger is a top notch team with friendly, comforting demeanors, but having someone with you who knows you well is invaluable. Take up every friend and family member on their offers to come sit with you through infusions, even if they can only escape during lunch and sit with you. Even in moments where I was drowsy, nauseous and battling a headache and chills/fever, looking over and seeing a face I knew made me feel safe and comfortable. Blanket and Wrap: I had several friends send me blankets as part of the care packages, and each time I went the hospital I took a different one with me, so even if that person couldn’t be there with me, I felt a closeness to them. I normally took one blanket to have over my legs and my favorite wrap (pictured below). Two of my favorite friends did some research and brought this wrap to me when they came to visit last January before I started chemo, and it is amazingly soft and has pockets! It went with me to every infusion, appointment and during my week in the oncology in-patient unit, and is still one of my favorites to cozy up with. Blankets and wraps from home are softer than the hospital blankets and provide a different comfort. Entertainment: I took documents for work, my laptop, iPad, (and their chargers), crossword puzzle book, and a couple of magazines with me to infusion days. Because I was given such a large variety and high dosages of the chemotherapy and side effect negating drugs, my consciousness varied. Some drugs I received made my heart race, gave me a headache and made me jittery and unable to focus; others made me terribly drowsy. Having a range of entertainment options to fit all of the various states you may be in will help the day go by quicker and keep your mind in a better place. Snacks: This is a tough one, because on one hand, good nutrition is important to successful treatment, but on the other, the side effects from the drugs complete change your taste buds and what you’re able to eat from a safety standpoint. I would bring essential (mostly bland) snacks from home, so that if I wasn’t able to stomach food my friends/family would bring me from the cafeteria or snack rooms, I at least had something to coat my stomach and stabilize my blood sugar. Lotion & Lip Balm: Chemo wreaked havoc on my skin and caused me to have terribly dry skin and lips and reminded me of how it felt when I took Accutane as a young teenager. My favorite lip balm is the Nivea Lip Butter and my favorite lotion are from L’Occitane, the hand and foot creams and the Shea Butter Ultra Rich Comforting Cream for heavy duty moisturizing or the Almond Milk Concentrate for normal daytime moisturizing. A Measured Water Bottle: Drinking a large amount of water is the best way to alleviate the side effects and flush the chemo from your system and replenish your cells, so I always took in my .75 liter sized Camelbak to remind me to drink water and help me keep track of how much I drank. My goal was (and still is) to drink at least 4 liters of water per day. My hospital navigation skills and packing for chemo infusion days were refined and honed over the course of my treatment period. More importantly, I gained a greater ability to strike a balance of preparing for the known and accepting the unknown. 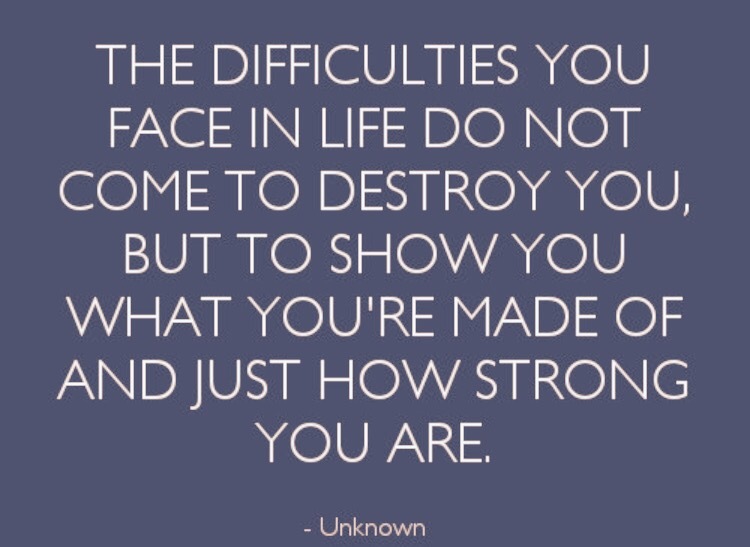 These skills are relatable to almost any experience in life, because being pushed to my limits physically, mentally, and emotionally helped me realize the depths of my resilience and strength and ability to grow and conform. *I have not been paid to promote any of the items I mention. These are solely my recommendations. Your thoughtful sharing of your experience was very eye opening for me . I had never considered the length of time a person invests in the procedure . Basic necessities for enduring a hospital stay or living thru a procedure is quite important . Glad you are sharing this with others . Comfort can come in many forms and a pocketed blanket shawl seems perfect . I do like pockets ! You and your family continue to be in our prayers . J.U.